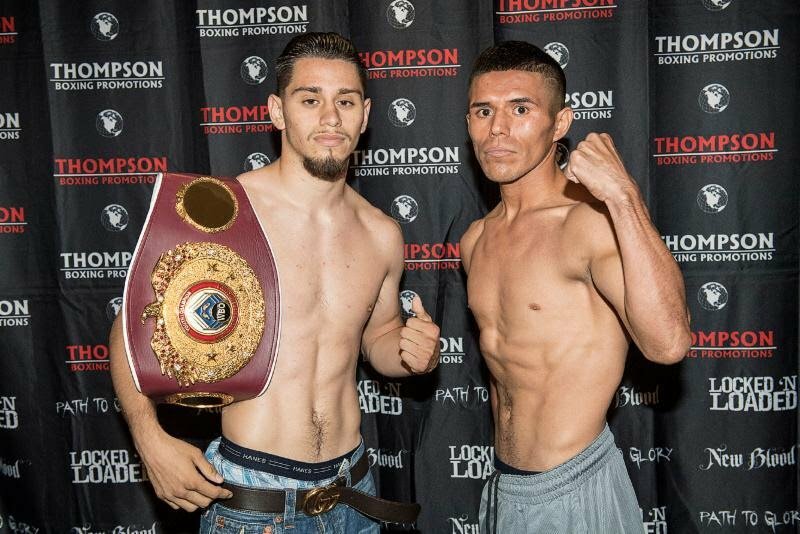 Unbeaten featherweight standout Ruben Villa (12-0, 5 KOs) weighed in successfully at Thursday’s weigh in coming in at 125.8 lbs., while challenger Jose Santos Gonzalez (23-6, 13 KOs) weighed 125.9 lbs. Tickets for “Locked n’ Loaded” are priced at $40, $60, & $100, and are available for purchase on Friday starting at 5:30 p.m. local time from the Omega Products International will call booth in Corona, Calif.
All fights will be live streamed on TB Presents: Locked n’ Loaded via our Facebook page and website at ThompsonBoxing.com. To receive a reminder, please click here.